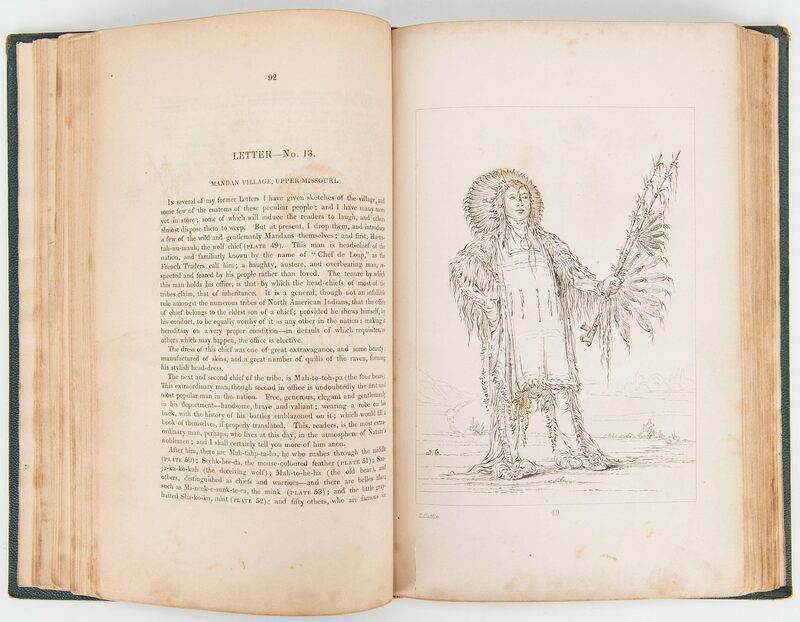 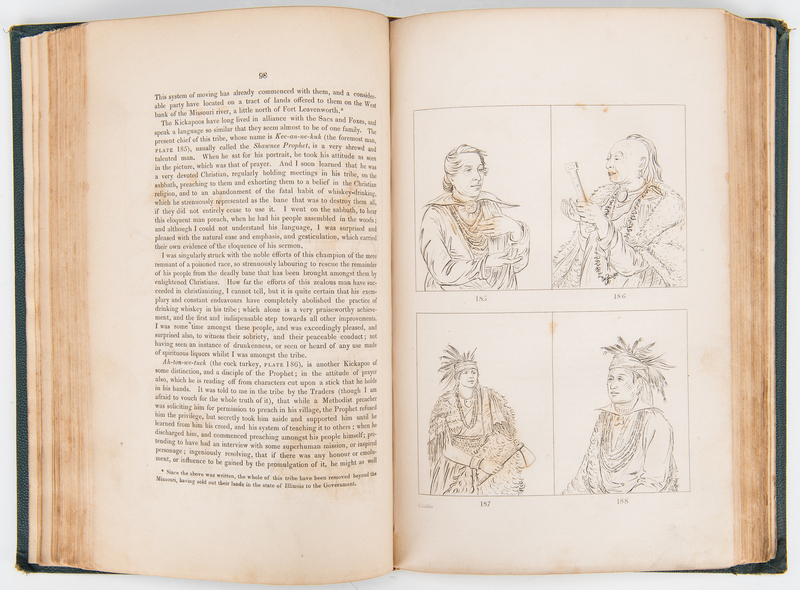 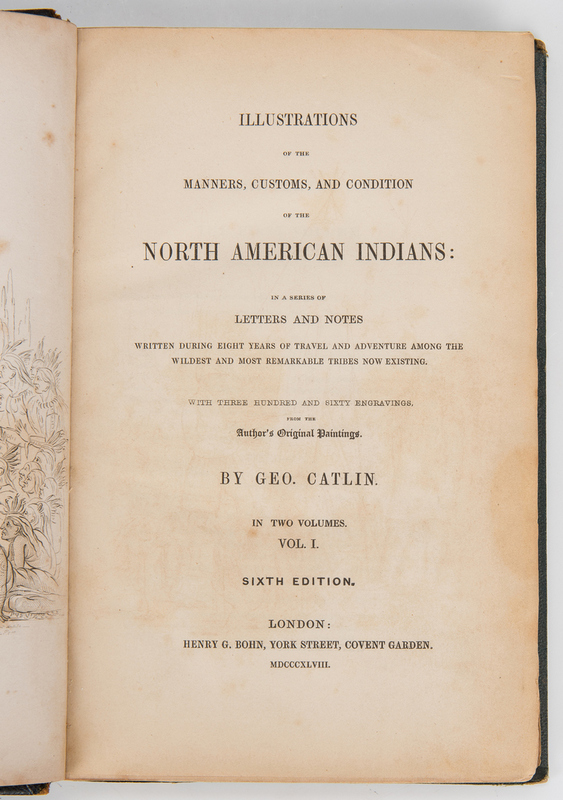 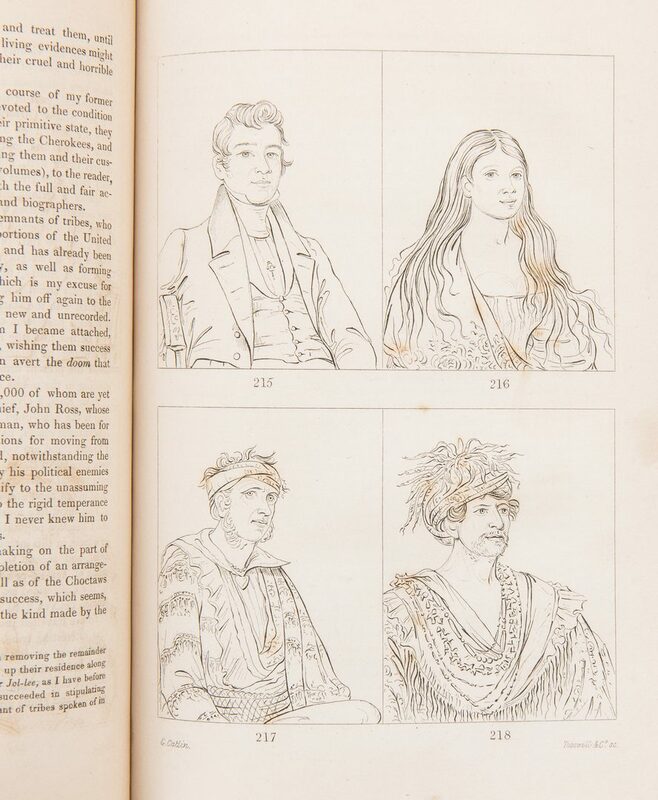 Illustrations of the Manners, Customs, and Condition of the North American Indians, Vol. 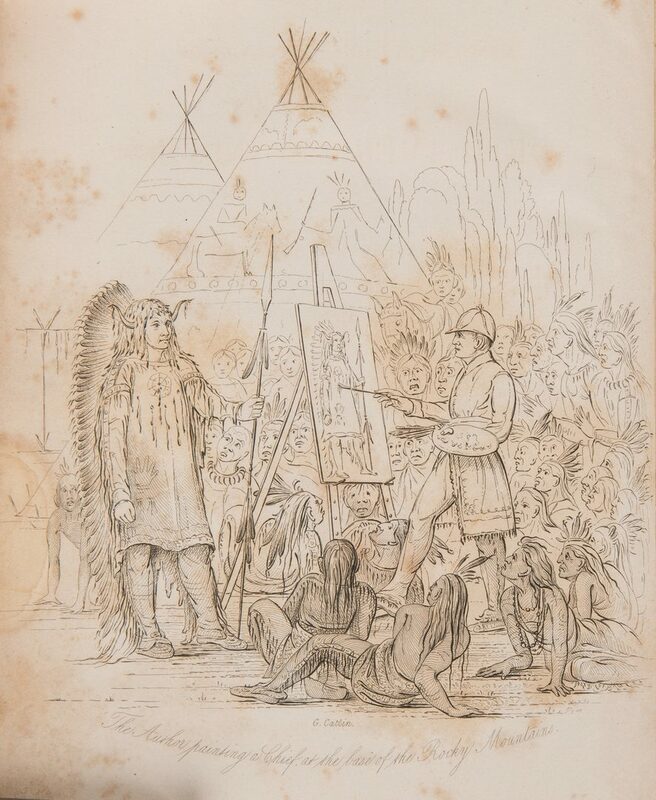 I & II, Sixth Edition, by George Catlin, 1848. 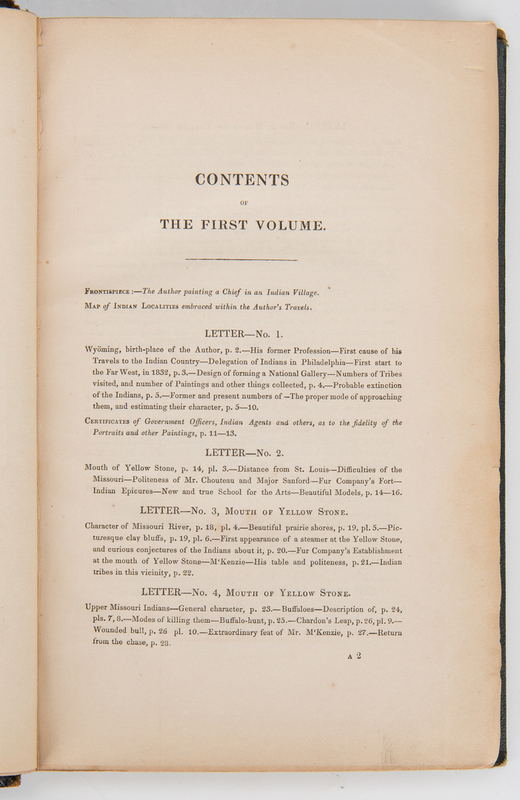 Published by Henry Bohn, London. 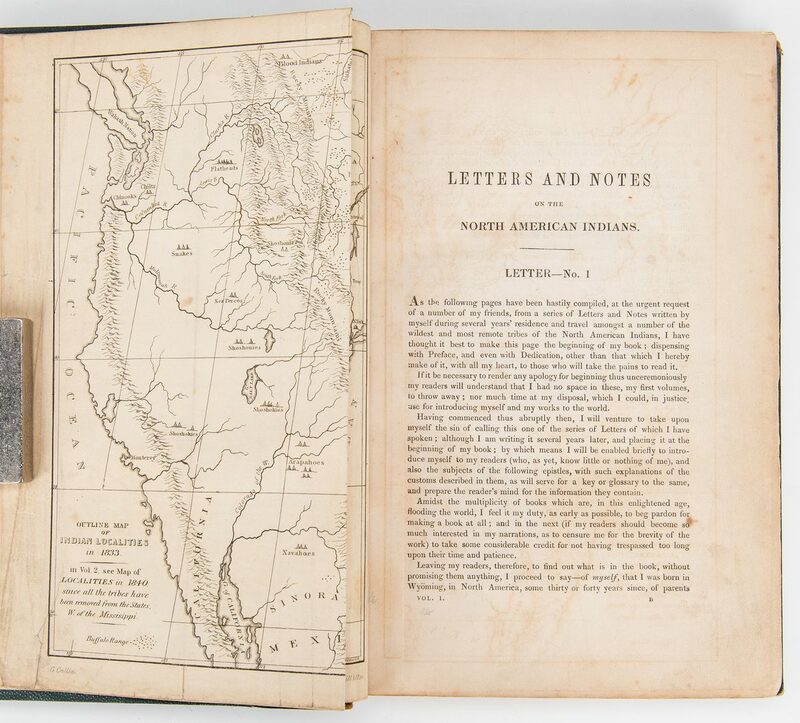 Octavo, 530 total pages with appendices and 314 line-cut reduction illustrations including three (3) maps and two (2) frontispieces, hardbound in half black pebbled leather with green pebbled leather sides, gilt line border and gilt lettering to sides. 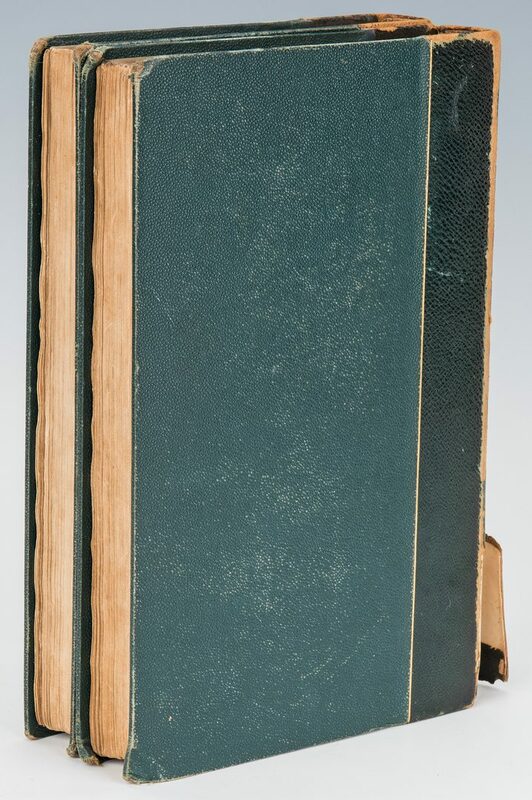 10 1/8" H x 6 7/8" W x 1 1/2" D. Mid 19th century. 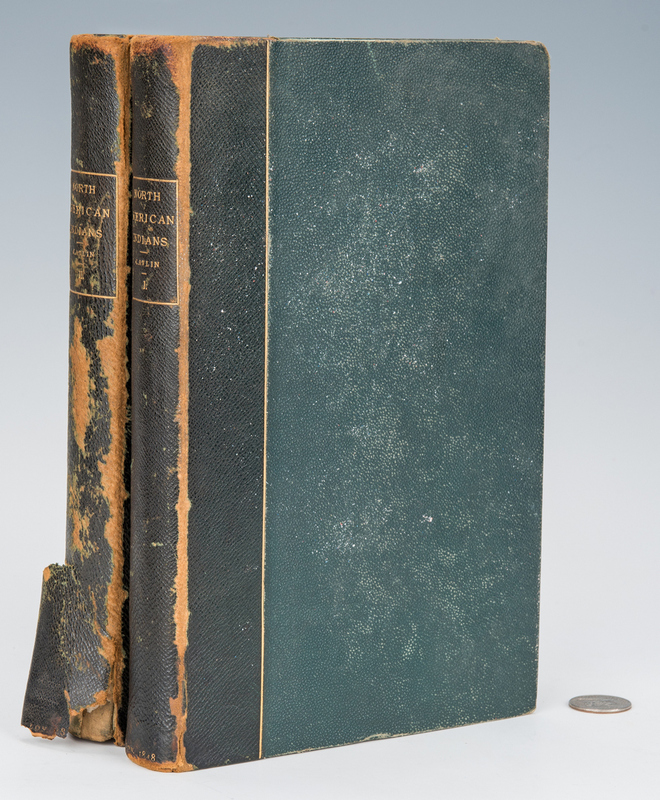 CONDITION: Covers in overall good condition with wear, scuffs, areas of loss/rubbing, 2 5/8" x 1 1/2" area of leather separation to bottom of Vol. 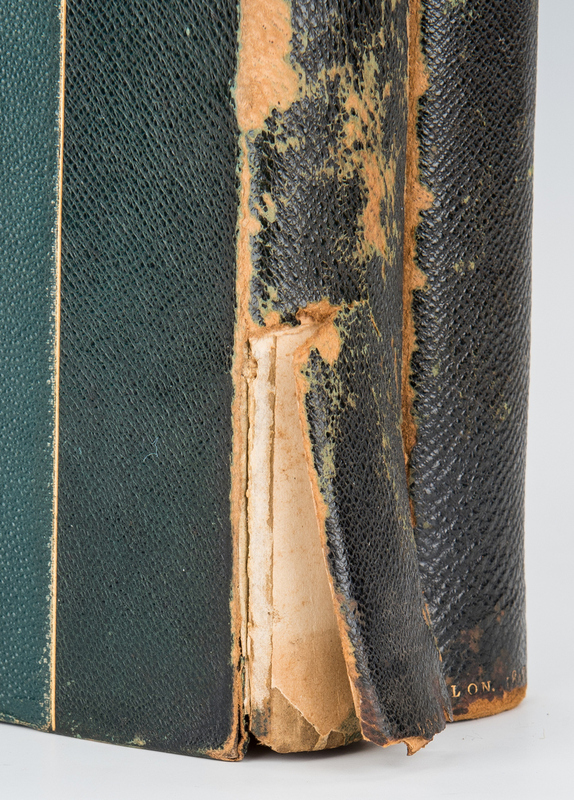 II spine. 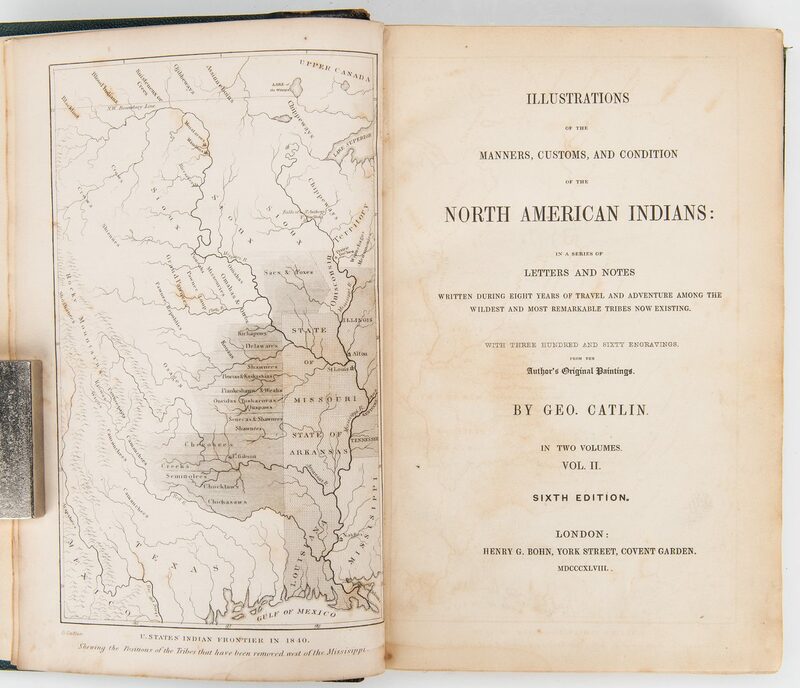 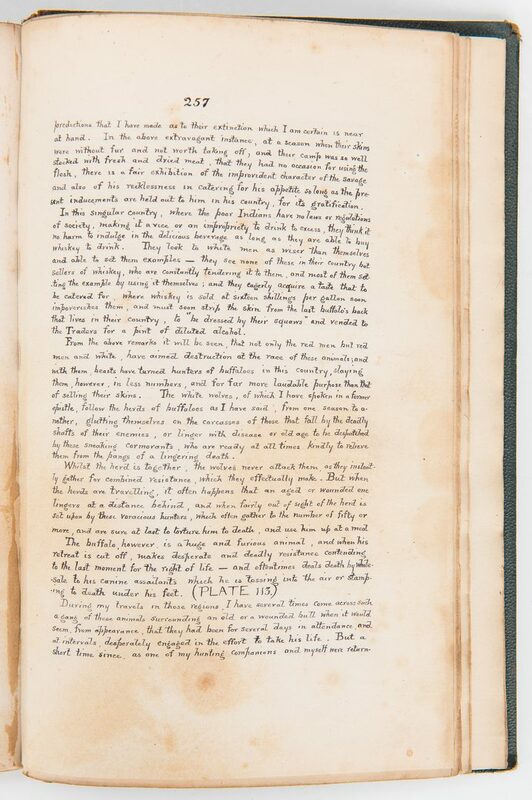 Pages, including illustrations and maps, with foxing spots, toning, dampstaining, tears, pencil inscriptions, etc. to be expected from age.